When did you become all zen like and well adjusted? We should celebrate that tonight, not your birthday. 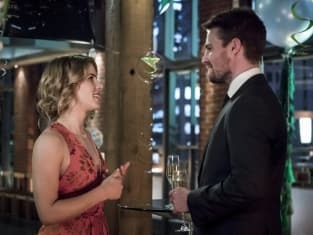 Arrow Season 5 Episode 22: "Missing"
Well, it looks like the Green Arrow is a hero again... whoever he is. Permalink: Well, it looks like the Green Arrow is a hero again... whoever he is. Arrow Round Table: Back To Lian Yu!